Ernesto Pierret, born in Paris in 1824, moved to Rome, where he opened a jewelry store in 1857. Pierret's work was considered to equal Castellani in technique and design, yet priced more moderately. 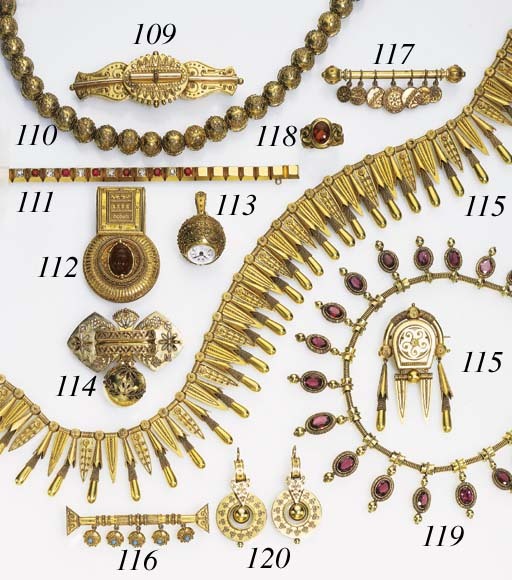 Popular in Rome, many of the master jewelers were busy reproducing Greek, Etruscan and ancient models in gold that required fine execution.